Dubai: Finding a snake in the house might give you a fright but what about finding 45 of the slithery creatures? This is exactly what a Texas homeowner had to deal with. Due to the television cable having some issues, the owner crawled into a corner of the house and soon discovered a ‘few’ snakes. Big Country Snake Removers were immediately called in to the home and upon an expert’s investigation, 45 snakes were caught. The procedure took hours to complete as each reptile was carefully extracted from the premises. The company posted a nearly 18-minute long video on their official Facebook page on March 18 that has gone viral online and since received over 1.5 million views. The video’s description gave more insight into the situation and the company also used it to spread awareness on the issue. They warned people that such creatures could crawl into anyone’s house. “The interesting thing here was they only see a few each year, their yard was very well kept and their house was nice and clean... My point is, we run into this scenario often, and people don’t think it can happen to them,” the description read. They also explained that the snakes were simply trying to survive by seeking shelter in the home. According to a report by USA Today, an American daily, the company’s owner, Nathan Hawkins said that the largest snake removed from the house was 5 1/2 feet long. 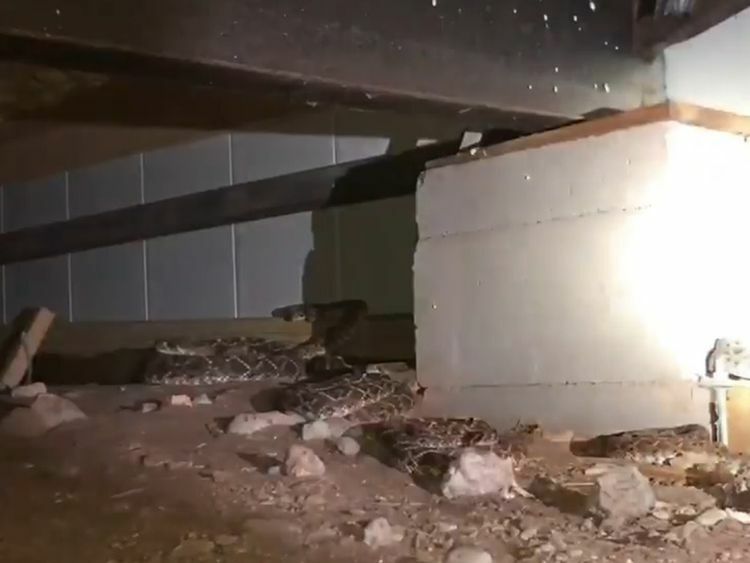 The clip received a lot of reactions from social media users who were alarmed by how snakes could be hiding in anyone’s home.